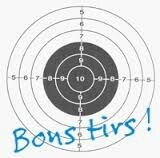 English - Site de Racing Club de Tir Douessin ! Address : the club is based at Les Epinètes, 49260 Vaudelnay, close to Doué la Fontaine, in the direction to Puy-Notre-Dame. 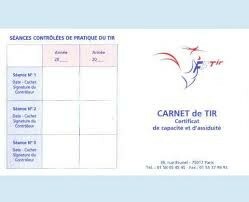 You will benefit from ranges of 25, 50, 100 m.
The licence price is 155 €. Each time you come to shoot the access to ranges costs 2.00 €, including the target. The club lends you weapons (2.00€) : pistols, revolvers, rifles, in different calibers. At the bar you will enjoy a coffee or a beer, and a chat with french and other english shooters. Sometimes you will benefit from someone who offers a round of bubbles. 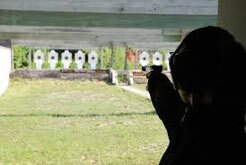 The licence must be taken before the 30th of september which allows anyone to get access to ranges.